A great addition to the Shoprider range of scooters, the TE9 has two new features. 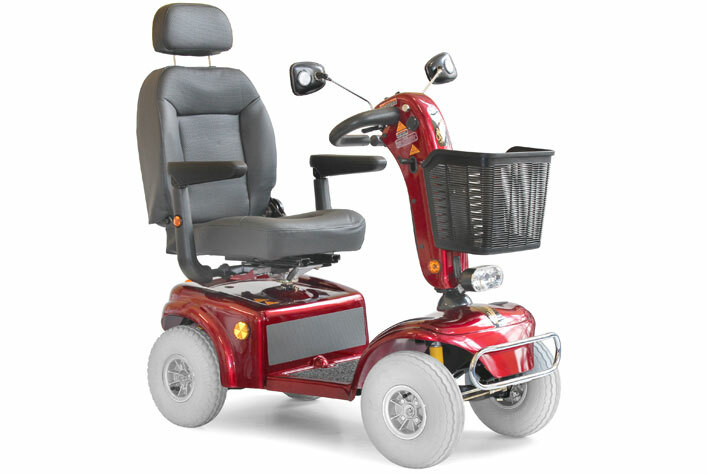 A midsize scooter full of features such as a high / low speed switch as well as a speed dial allowing the top speed to be altered from 0 to 12.5kph. This new scooter has the same powerful headlight as the TE888NR combined with a new high back seat. It also comes equipped with throttle lever extensions.